To many local residents the recreation ground on Mill Lane is known variously as ‘Mill Lane Playing Field’, ‘Mill Lane Recreation Ground’ or ‘Enderby Park’. In fact, its correct title is “King George V Field” and the name gives a clue about how safeguards are in place to preserve that ‘public open space’ against encroachment by developers or being acquired for other use. Many individuals who pass by the ground – or families who spend time just sitting on the benches or takeing advantage of the outdoor gym, roundabout, swings and other playground equipment – are unaware that the playing field is a charity. 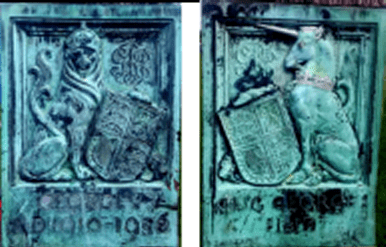 After the death of King George V (3rd June 1865 – 20th January 1936) a Lord Mayor of London, Sir Percy Vincent, formed a committee to decide on a memorial to the King other than a statue or edifice. The committee came up with the idea of setting up a ‘King George’s Fields Foundation’ to carry the late king’s name forward through future generations. The aim of the foundation was to promote and assist in the establishment, throughout the United Kingdom of Great Britain and Northern Ireland, of playing fields for the use and enjoyment of the people. 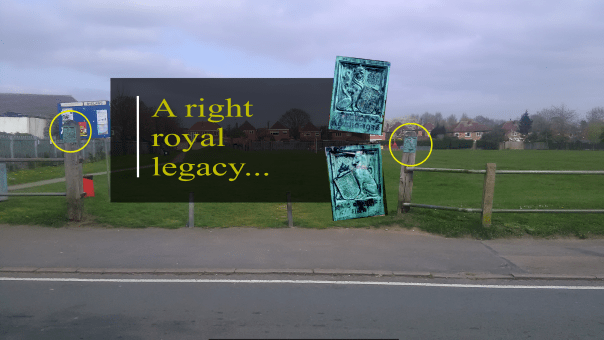 Each King George V Field scheme has to have an entrance to the field designed to provide a sufficiently dignified setting for the heraldic panels that distinguish a field as a ‘King George’s Field’. The main entrance to the King George V Field on Mill Lane is flanked by two large posts, each displaying a plaque commemorating the setting up of the playing field. The ground is administered by Parish Councillors sitting as Trustees and it is possible to hire the open space for events. Zero Waste Kitchen – A cookery course with a difference!